"About your wife, doctor." 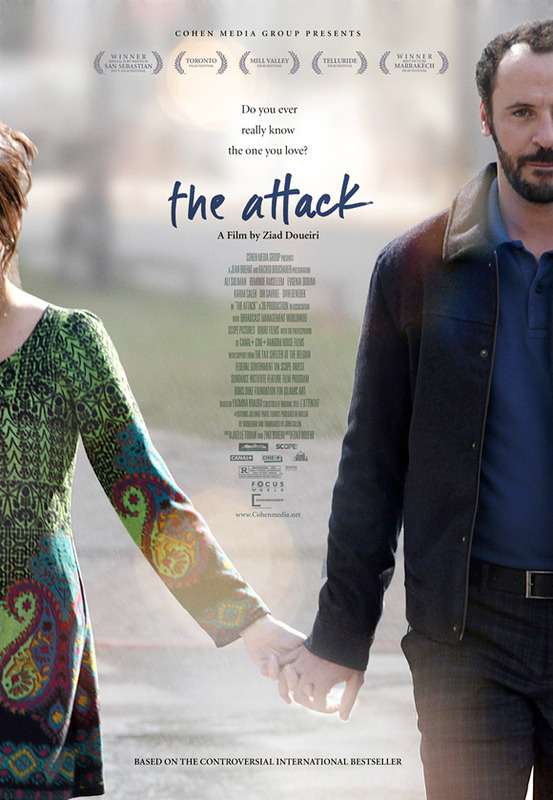 Cohen Media has debuted a trailer for indie drama The Attack, from filmmaker Ziad Doueiri. It tells the story of a successful Israeli Palestinian surgeon, played by Ali Suliman, fully assimilated into Tel Aviv society with his wife, played by Reymond Amsalem. But his life is turned upside down after a suicide bombing in the city leaves nineteen dead, and police inform him his wife is responsible. There's a big twist stated up front that's a tough reveal, but necessary, because that's the entire plot. I saw this in Telluride and loved it; a powerful, moving story of how we cope with the harsh realities of this world. An Arab surgeon (played by Ali Suliman) living in Tel Aviv discovers a dark secret about his wife (played by Reymond Amsalem) in the aftermath of a suicide bombing. Based on a 2006 novel by Yasmina Khadra. The Attack is directed by Lebanese-born cinematographer and filmmaker Ziad Doueiri, of the films West Beirut and Lila Says previously. The screenplay was co-written by Ziad Doueiri and Joelle Touma, based on Yasmina Khadra's novel. This premiered at the Telluride, Toronto & Donostia-San Sebastián Film Festivals last year. Cohen Media Group is releasing The Attack in limited theaters starting June 21st this summer. The Attack official poster above from IMPAwards. Focus World and Cohen Media Group are distributing. Controversial? REEEEALLY.. YA DON'T SAY? I guess I can just skip to the last 20 minutes of the movie now. Thanks. Ali Suliman, he of Peter Berg's 'The Kingdom'?... fantastic. Amazing actor - check him out.